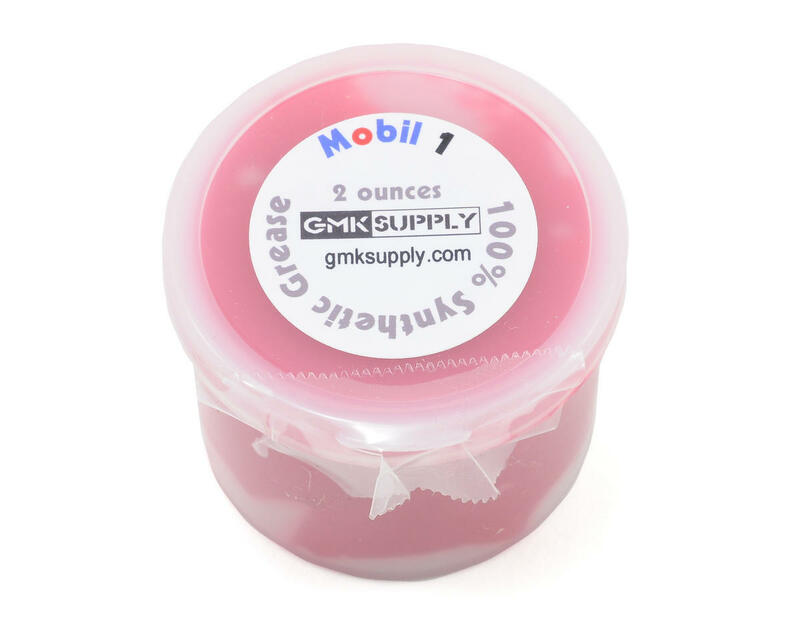 This is a two ounce container of Mobil 1 grease from GMK Supply. Mobil 1 grease is a super high quality,100% synthetic product used by top 1:1 race teams. Top pro racers like Bobby Tillman of Team Mugen use Mobil 1 grease to lube the outdrives of their diffs to prevent leakage and keep the o-rings in great shape. Also perfect for ring and pinions, CVDs and bearings. 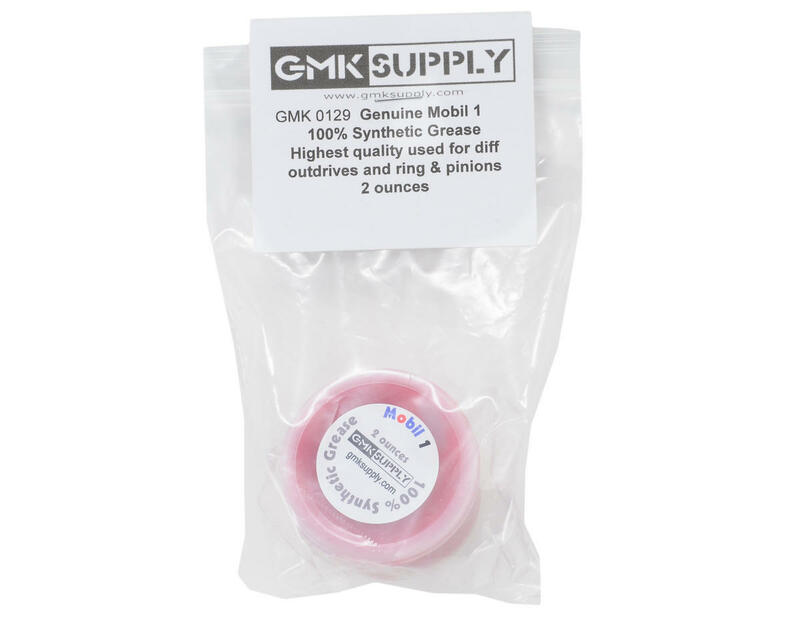 Mobil 1 grease is great grease for RC, you just need to know where and how to use it properly. This is the exact same product, only less of it, sold by 110% racing as called 'RC blood'. This grease is red color, it seem suitable for most pinion & diff gear. overall it worth.